100% coconut oil soap has perfect cleansing properties, able to clean in very hard water and the only able to clean in sea water, but can be drying. But I wanted a soap to use mainly as detergent for dishes and laundry. Tips: Making 100% oil soap is practical, because you can use it for your shampoo formulations, mainly if you do not know which oils you prefer. Instead of saponifying tens of oils combinations, you can simply combine ready one-type soaps. This tutorial shows the hot process liquid soapmaking. Liquid soap can be made also by cold process, but I did not try this yet. Hot process ensures saponification of all fatty acids if you want transparent soap and soap is finished in few hours. I assume that you have knowledge of at least basic cold process soapmaking. Value of 100% KOH divided by percentage of purity of your KOH. If for 1000g I need 257 g of 100% KOH, I will need 257g/0.85 = 302g of 85% KOH. For water, I counted double the weight of KOH. Attention! Citric acid amount is just for orientation, please, add slowly 1 TBS (tablespoon) per 500g of liquid soap for neutralization. Soap paste should be heated for several hours in temperatures not higher than 95-100°C. This means you definitely need to use either slow cooker or water bath. 1. Prepare the soap as in cold process – mix KOH solution and melted coconut oil until thick trace. Here you have to take in mind that KOH reacts differently from NaOH. When using NaOH, the thickening of soap mass is very continuous. When using KOH, you mix quite long time without any substantial thickening and then, suddenly when you start to get bored the soap mass thickens in seconds into an asfalt-like broth. That is the trace and at this stage you can leave the soap mass heating. The thickening effect depends on water ratio, in this recipe it is not so drastic. 2. After the trace was reached, put the lid on and leave on low heat for 2-3 hours. The lid is important so that the water does not evaporate – lack of water would slow down the reaction, so would overheating. 3. While heating, the soap will get puffy – these are the air bubbles trapped in while initial mixing. Stir the paste every 15 to 30 minutes to release the bubbles. It is good to observe the behavior of the soap paste first hour more attentively. 4. During cooking, the paste changes from opaque white/yellowish into translucent yellow – this is the gel phase. 5. Make a test for excess fatty acids after 3 hours. Dissolve 10 g of soap in 20g of boiling DISTILLED water (do not use tap water, it contains minerals that would cause claudiness) and let cool down. If the solution shows pronounced cloudiness, it indicates the presence of fatty acids. Let soap cooking for another 30 minutes. 6. After additional 30 minutes, if necessary, test again. Slight cloudiness is acceptable. If the solution is transparent or only slightly cloudy, turn the heat off. If not, let the soap cook for another 30 minutes. C.Failor says that if your samples remain cloudy even after 4 hours of cooking, the problem is insufficient KOH – that is a problem only if you want transparent soap, otherwise you can continue without troubleshooting and most probably even without neutralization step. Also, the presence of free fatty acids will affect the cleaning properties of your soap – more fatty acids, the less cleaning power. If you have this problem of insufficient KOH, you will have to dissolve the paste in alcohol and add some more KOH, but this can be very tricky, beware, alcohol vapors are highly inflammable dangerous, and alcohol should not be added to hot soap paste! 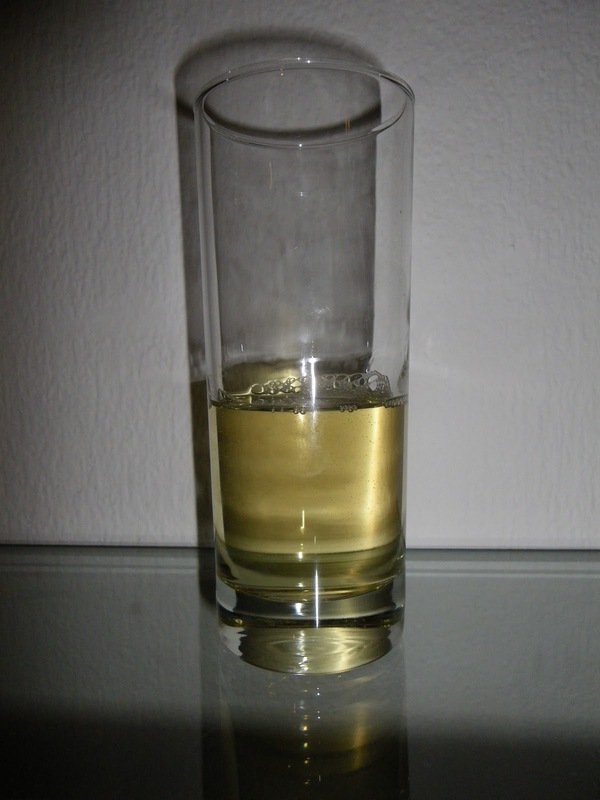 Soap sample dissolved in distilled water – no milkiness, saponification has finished. 7. If the test for free acids is negative – the sample is clear, or only minor milkiness present – you can either stock the soap paste almost indefinitely in the fridge for next utilization, or you can create liquid soap. For the latter, dissolve the soap paste in hot distilled water in ratio 2:1 (soap paste : distilled water). The concentration of soap should not be more 40% and do not forget that our soap paste already contains soap from the solution of KOH. Do not be afraid to play a bit with the soap paste to water ratio, until you get desired consistency. However, too high concentrations will probably finish congealing (mainly soft oil soaps congeal in concentrations over 25%). a. First, test a sample of liquid soap for excess alkalinity using phenophtalein – strong rose or violet color indicates excess alkali, faint rose or no color indicates neutralized solution. First sample – phenophtalein test shows pronounced violet color – alkalinity. b. If the samples is alkaline, add for each 500g of solution 1 tablespoon of 20% citric acid solution. To my experience the citric acid will precipitate some soap from solution, so you have to wait until it dissolves again – heating helps. c. Repeat a and b until soap is neutral. Attention, to much citric acid can cause reverse reactino and precipitate fatty acids and NaOH from soap. For my solution of 1.2kg I needed four tablespoons of citric acid. If you feel that you need too much citric acid to neutralize your solution (about 3 TBS per 500g of liquid soap), you might have problem with excess alkalinity.There I would recommend to cook the soap solution with small amount of oil in order to neutralize excess KOH. Precipitated fatty acids after adding 1TBS of citric acid. Faint color in test sample suggest neutralization is finished. 9. At the end, add dyes and fragrances and set aside for one-two weeks. Pay attention, oil based colors might cause cloudiness. This time is according to C.Failor needed in order to clear the solution (setting up of insoluble soaps and cloudiness caused by some essential oils). I never needed this, but also I did not make a lot of these soaps. As a natural detergent for dish washing – I use this 100% coconut liquid soap and it is really good!! It washes perfectly even in hard water! As a soap for hands. You might add any additives you want, just pay attention if transparency is desired. For additional superfatting sulfonated castor oil is recommended as one of the soft oils that does not affect transparency (thanks to its water-loving properties). I strongly recommend the book of Catherine Failor Making natural liquid soaps, if you want to make more complex soaps. I have used this soap as a shampooing (without any additives) and at the beginning, I was very happy with it. It needed of course an additional application of an acid conditioner in order to smooth the keratin layer of the hair. The result was – more volume (my hair is damaged, very thin, however easy greasing) and hair remained non-greasy 1 day longer (a success for me, washing my hair almost every day). However! A long term use has made my hair all without shine and the bleached part of my hair become ever more damaged. I therefore changed for a classical shampoo and have tried a lot of natural shampoo alternatives since. I think that liquid soap is a good short-term solution. Although, it is definitively better than a soap bar! This entry was posted by evik on January 22, 2012 at 17:39, and is filed under eco-friendly household, soap recipes, soapmaking, soapmaking techniques, soapmaking tutorials. Follow any responses to this post through RSS 2.0.You can leave a response or trackback from your own site. hi- im just starting to make soap. i have been experimenting with simple ingredient recipes and have been trying to develop soaps with oils that are as ecologically responsible as possible. i found a cold process liquid soap recipe and have been trying that but also finding basic hot process liquid soaps recipes and trying those. I am hoping you can answer a few questions I have. Is it possible to make a good quality liquid soap through cold processing? I am not concerned with the soap being cloudy but that seems to be the only definitive thing I have found that explains what the difference might be. I have made a couple of cold process liquid soaps and have tried them on my hands. the seems to work pretty well. thanks for any advice or guidance you can offer! This is the recipe I have followed for cold process liquid soap. I used beef tallow, olive oil and sunflower in one recent recipe and olive oil, coconut and sunflower in another. I must say, I never tried to make liquid soap via cold process. Not that I don't know this is possible, but simply because I did not have time yet. I do not know what do you mean by quality of the soap – if it stays liquid in long term? If you have used KOH instead of NaOH to make your soap, that should not be a problem. The only difference would be transparency. Also, as you add to your hot processed liquid soap glycerine and sugar, that apart of transparency givesmore lather to your soap. If you did liquid soap using cold processed NaOH soap, you will experience separation of soap and water with time. To conclude, I believe apart transparency and maybe a bit more of lather, the hot processed liquid soap does not differ from the cold processed liquid soap (if it was done using KOH!). If you like it, that everything is OK! 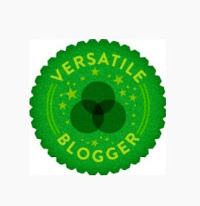 Hi Kate, I did not use one, it is pretty alkaline and does not go bad. Hi Evik.. im Hani from Indonesia. I work in Polytechnic of Kampar and im intructor laboratorium. i always tried made liquid soap and the result always failed.. always trace never became liquid.. and then im searching aboat soap and i found u.. im lucky because i can leaning about soap more form your website. Thank u evik. I love all your post so much. maybe if i have problem about making soap, have you help me evik?? Have you made liquid soap by cold process yet? Do you have any sources on that method? I’ve tried to research making liquid soap by cold process before but didn’t have any luck. I’d really like to try it, I do CP now and haven’t done HP yet and don’t have a crock pot. Hi Lin, I did not. I know it is possible, but it takes really long time. It is because KOH is lazy to saponify, that it why it needs the heat. Otherwise it could take 24 hours up to 3 days of occasional stirring of soap until it gets homogenous and gel like. This is what one of my books says… It also says that cold processed liquid soap is not good for skin use, because it is too alkaline – unless you use citric acid or borax to lower the pH. I should try it. When you say you didn’t have luck, what happened? I haven’t tried to make it, I meant I didn’t have any luck when I was trying to find someone who had done it or instructions on how to do it. The closest thing I’ve found was a laundry soap using half KOH and half NaOH where its stirred occasionally over about 3 days. http://www.soapmakingforum.com/showthread.php?t=4479&highlight=laundry+soap+shredding The recipe was removed from the first post, so you can find the 100% coconut version of it here http://www.soapmakingforum.com/showpost.php?p=100197&postcount=15 (I assume thats the one you’d use, its the one I want to try.) I haven’t found anything on hand/body/shampoo type liquid soaps CP. Hi Lin, I attempted the laundry detergent from my coconut soap paste some time ago and it actually works pretty nice… let me find the recipe! You can make cold processed liquid soap. Just put your soap in heatproof, not metall container after trace and live it along for 2 weeks- 4 month. Time depend on your recipe and temperature around your soap. After PH of your soap-paste will drop it’s ready to use. You can delude paste in water. Hi Evic .Couple misunderstanding points in original post. 1. As I know – Lack of water will speed up the reaction, and increase temperature. Yes it can cost overheating. 2.- Use this soap as shampoo will be the same as use laundry detergent as shampoo. It’s to cleansing and bubbly and not inafe conditioning. For shampoo you better create something with much lower cleaning number, better creaminess and conditioning. How about citric acid in beginning? – let it react with lye and create amazing conditioning citrals. Just remember to calculate lye for this reaction to. 3. I understand that idea in this soap to make it clear. This is the reason why you trying to take away stearic acid ( yes you are not only lowering ph you taking away stearic and another good acids ). You can research how to make stearic candle from soap and how to make soap from stearic candle. This process is really lowering quality of soap. I saw pretty clear liquid soaps with much better qualities. Castor oil one of the best for clear creations. Are you trying to duplicate something? 1. I do not see a misunderstanding here? I added more water, therefore it did not react so fast. 2. Well… this was not my first time attempting soap shampoo. I tried also bar soap shampoo (disaster). My problem was that none of the soaps actually really cleaned my hair… they were just half greasy after, which is not good enough. That is why I tried this one on my hair (it was not the purpose to make a shampoo here). After time, I renounced on this option, to… I have heard about citric acid in soap for shampoo, but never tried. … ah, and yes – I tried to make it transparent, too! Hi Alaska-beauty! I did not change comment settings, or at least not on purpose. What exactly is the problem? I am trying this process of liquid soap using coconut oil fatty acid and when i mix my koh mix with my oil it hardens before i even get the oil mixed well! do you have any idea what may be causing that to happen? Hi Christy,could you, please, write an exact recipe, including water? What you mean by coconut oil fatty acids – is it fractionated coconut oil? Have you ever tried this as a dishwasher gel/detergent or would it foam too much? Hi Nirvana, I never tried it in the dishwasher, only hand dish washing. I think for dishwasher something more like sodium carbonate (washing soda) is more appropriate. Thank you for taking the time to share this information about liquid soap. I am new to liquid soap making but after doing lots of research I feel comfortable to making my first all natural liquid soap! Hi Wisdom, my pleasure, please, let me know how it went! Each time, the mixture traces well, but doesn’t seem to get to gel phase in my slow cooker. It puffs up like marshmallow. Then I stir it and it looks a bit like apple sauce, but not like gel. The last batch I made cooked for 3 hours and pH tested at 9 so I put it into molds. But by the time I did this it was hard and crumbly. Now all my bars are crumbling… help! I am not sure how your apple sauce looks like but to me it seems like gel phase. pH 9 is very good, I believe the problem is you didn’t have enough water. For HP, you better use more water, since it evaporates and the top of the soap dries fast. Too little water means no gel phase, water is necessary for gel phase. If you don’t have enough water, then the soap gets crumbly. I suggest you to dissolve your crumbly bars in water and then pour them into molds again. Do not heat much! 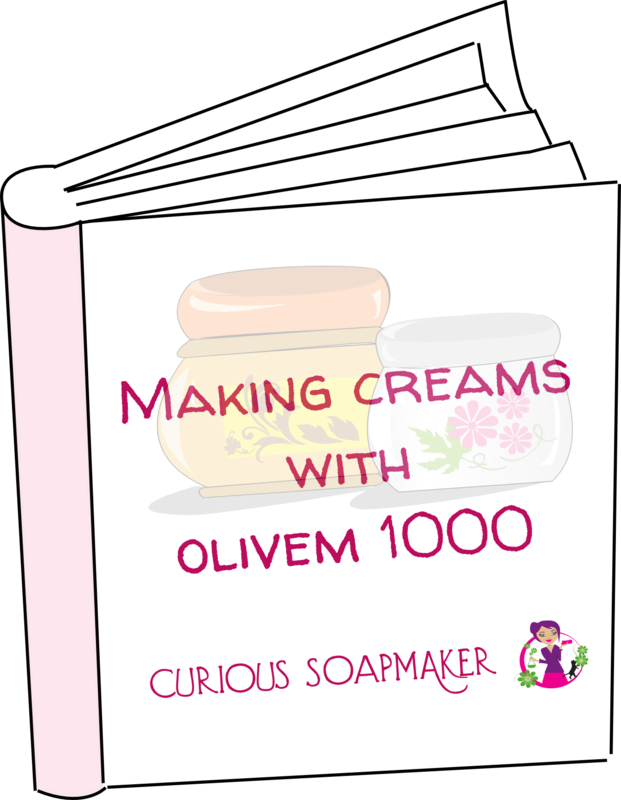 HI Evik, could you show us how to make 100% extra virgin olive oil liquid soap? I tried to make once but failed. it never reached the gel phase (from opaque to translucent). Thanks for the guidance! Hi Wynn, this is a very good idea, I never tried doing one, but I can imagine multiple things go wrong there. For instance – olive oil saponifies very slowly and if you use KOH, it is even worse (KOH saponification is much slower). You might have had too little water in your soap while cooking – since the soap needs to be cooked longer than with other oils, your water evaporated during that time – this can cause that gel phase never occurs. You need to add . Another way is to help the saponification by brining the soap to trace before starting to cook it. You might need to add a bit of already existing soap in your mixture (yes, that helps, since soap acts as emulsifier), or use less water – this will help the trace and once trace is on,you can cook it and add more water. I’m sensitive to citric acid, is there anything else I could use? Hi Jean, sure, lactic acid for instance. Coconut oil makes a wonderful shampoo, however, it is drying. I have tweaked my coconut oil shampoo to make it more moisturizing. By the way, my solid shampoo bars deliver more moisture and oils to the hair, leaving it silky and shiny. Evik, I made 100% coconut oil bar soap and washed my dishes with great success. Just run coconut oil on damp hands afterwards. Voila!